Beets, cabbage, okra, tomatoes. This may sound like the list of things most hated by small children, but it is actually a list of the vegetable seeds packed at a recent Seed Packing Event hosted by the Global Aid Network (GAiN). As a ministry of Cru, GAiN’s mission is to “express the love of Jesus Christ in the toughest places on earth by relieving suffering and restoring dignity.” It is also one of the ministries Nate’s team helps behind the scenes with financial administration. 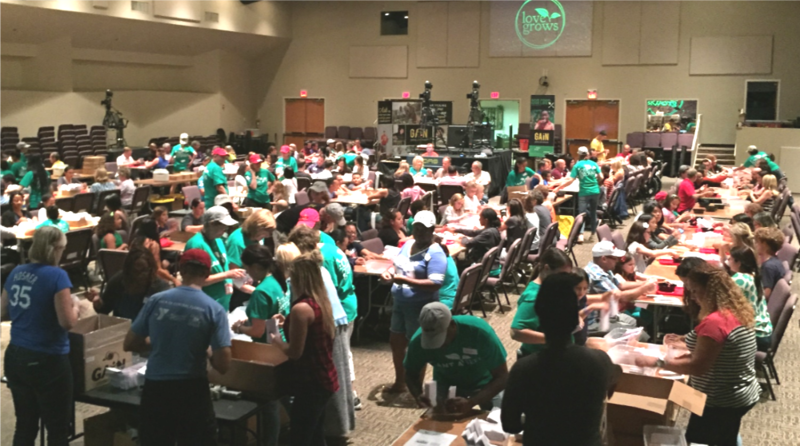 Each year, GAiN partners with churches around the country to host seed and meal packing events. Nate’s team helped set up and run a recent seed packing event here in Orlando. 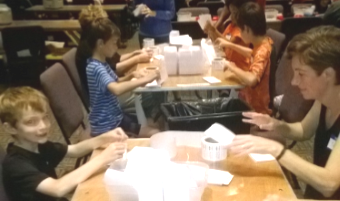 Over 500 people from a local church volunteered their time to assemble more than 216,000 seed packets bound for Zimbabwe and other third world countries. Each seed packet will produce about 50 pounds of vegetables, resulting in 10.8 million pounds of food for this nation! Years of civil war in Zimbabwe have destroyed many farms and most farmers have no seeds to start new crops. These seeds from GAiN will enable many families to produce a sustainable crop of vegetables and income. In addition to food, GAiN makes and distributes water filters and personal hygiene items to people in need around the globe. Kim has helped to cut old towels and flannels to be used for reusable sanitary pads for women around the world. Most girls in developing countries are forced to miss school for one week a month without these. Local Cru teams in each country participate in the distribution, while building relationships that open doors for spiritual conversations and result in many coming to Christ. Your partnership allows us to serve ministries like GAiN, so they can bring the love and hope of Christ to the marginalized and forgotten of the world! To host a Seed Packing event in your church or community or make reusable sanitary napkins for women in developing countries visit www.gainusa.org. You can directly change the lives of people around the world. This entry was posted in Uncategorized and tagged Caring, Finance, GAiN. Bookmark the permalink.